Wherever we are, whenever a candle is lit, my 3-year-old sings ‘Happy Birthday’ – mainly to himself – before blowing out the flame, so keeping our lovely table centrepiece alight may be a problem this Christmas. I have tried to encourage some festive carols instead, but to no avail. We have had a debate over this with my eldest who has pointed out that ‘Happy Birthday’ is more than appropriate on Christmas Day, considering the actual celebration in question… Six-year-olds are such know-it-alls! Our table decoration has lasted over three weeks, so it should see out the entire festive season. 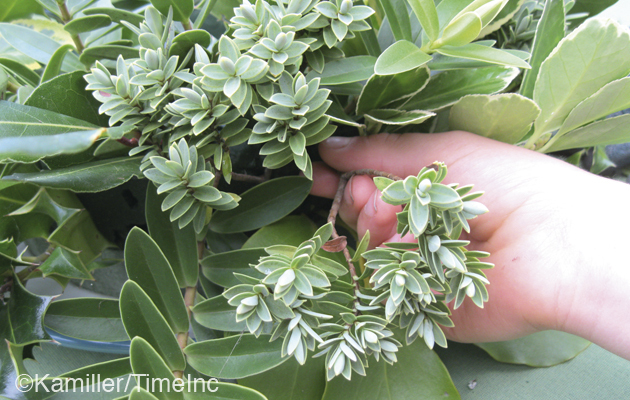 You can use what ever you have in your garden, but to make it long-lasting choose leaves from evergreen shrubs and trees. You could also add a splash of colour with our ‘fake berries’. Here is how you do it.. 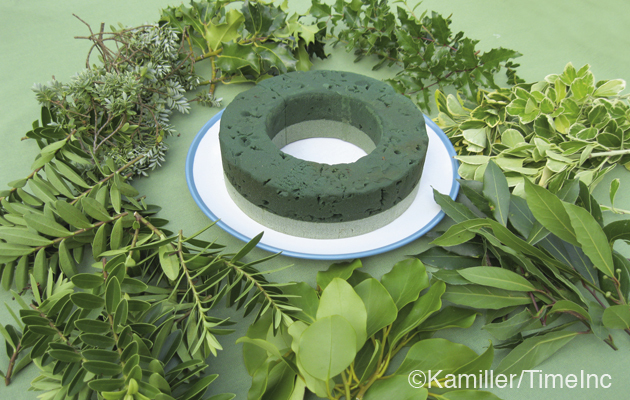 Step 1) Soak a ring of oasis in water and try to select a mixture of different sized leaves in a range of colours. 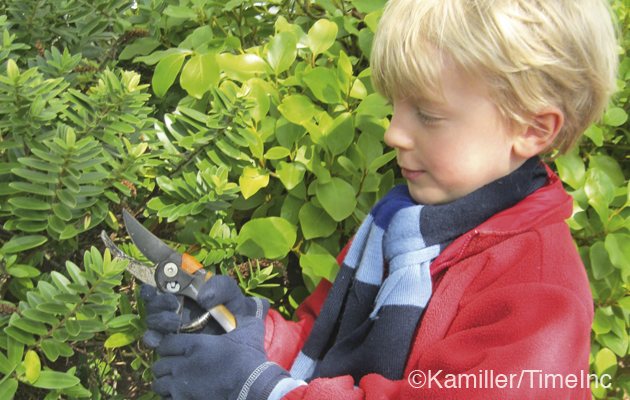 Try cutting foliage from holly, bay, mahonia, euonymus and hebe. Step 2) To create a good mix, we used a similar amount of foliage from seven different plants. 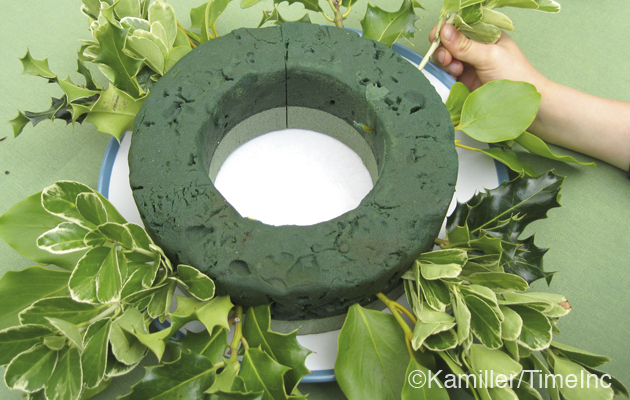 The photo shows how much greenery we used to make one ring with little left over. Step 3) Starting from the base on the side edges, we pushed holly into the oasis at north/south/east/west points of the ring, and in-between set two types of variegated euonymus. 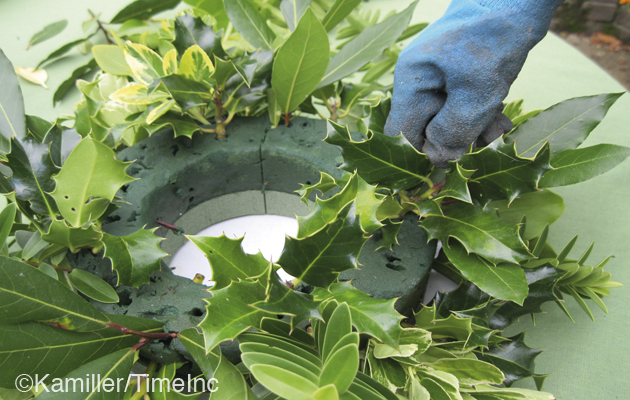 Step 4) Moving up to the top face of the oasis and using imaginary compass points again, we added four sprigs of holly and filled the gaps with bunches of bay, hebe and mahonia. Step 5) We used sprigs of hebe topiaria to fill all the small gaps throughout the arrangement. The tiny grey -green leaves are perfect for hiding the oasis and adding texture to the display. Step 6) As a finishing touch, we added some fake berries (see here). 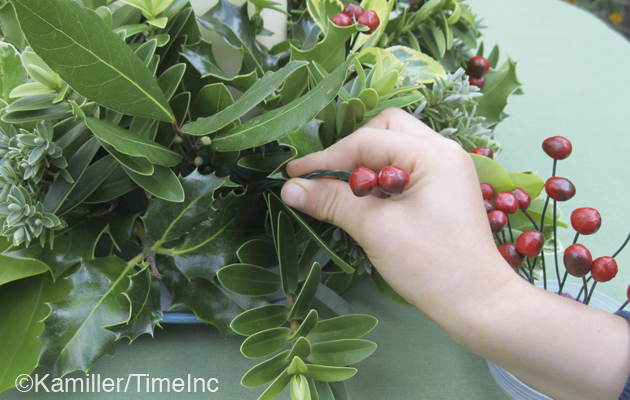 Twisting them together in bunches of two or three looks realistic and the bright red really enhances the decoration. You should be left with the perfect centrepiece – but don’t go blowing the candle out until after Christmas lunch. 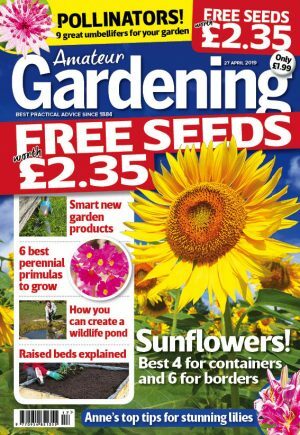 We always love to hear from readers and see what you have created – why not send us a picture of your little one with their creation – as always send pictures to our usual email address amatuergardening@timeinc.com.